Bad behavior on the leash is the most common dog-related problem I run into and it is one of those basic skills that seems to be so difficult to master. Usually, Jada is pulling like a sled dog and barking at other dogs. So frustrating! I have been wanting to improve our leash skills, but could not seem to find the right method that would work with my dogs. Thankfully, I now have a dog trainer for a best friend who guided me in the right direction with one of her books, Control on Leash: Revolutionary Leash Walking Techniques for Dogs. 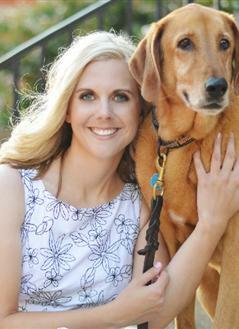 Michelle Huntting is a certified dog trainer and has been working with dogs since 2005. 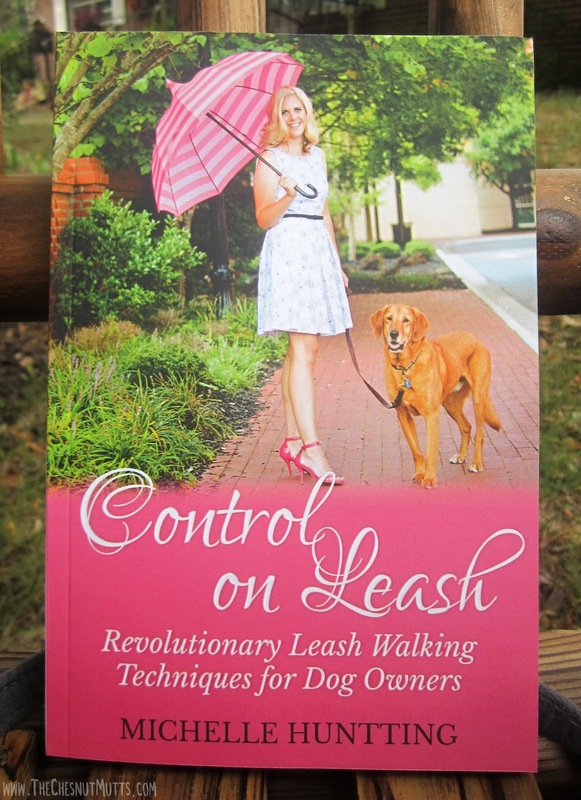 Right now she is in Dallas, Texas offering group training classes in-home and even online (see our review here on her Zen Dog Class) She has written 3 books including the one we are reviewing today called Control on Leash: Revolutionary Leash Walking Techniques for Dogs. 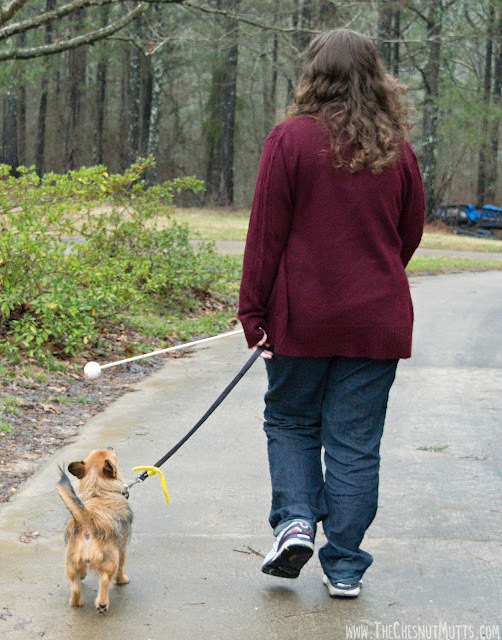 Control on Leash was published in 2013 and has 255 pages full of leash walking tips and activities. Michelle goes into detail ranging from types of products to use to calming skills to what to do with multiple dogs. 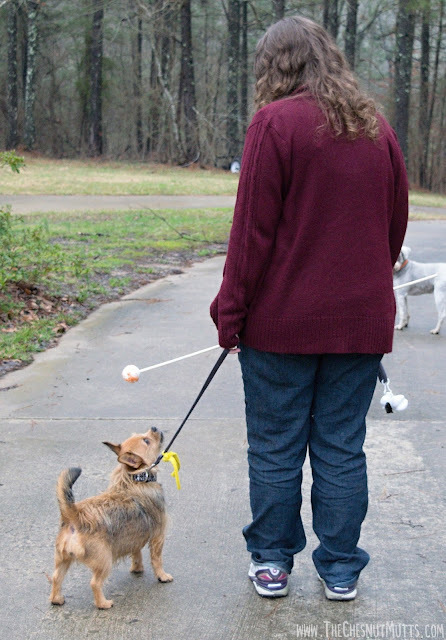 Jada has always had problems with walking on the leash as she is always pulling. I have tried several products like no pull harnesses and wacky contraptions to no avail. I even tried a technique from a famous dog trainer but Jada did not respond. "What do you mean by 'you need work on your leash skills'?" One of the most groundbreaking techniques Michelle writes about in her book is where your dog is super excited to go sniff some grass (or anything else exciting) and you just stop until they are beside you, or even better, behind you, then you continue forward. If they pull ahead you stop again until you get to your destination. I have tried something similar, but never realized that the motivation is very important. We tried this out in the front yard and all the other dogs were loose except for Jada so she was eager to go play, but got frustrated when I wouldn't go forward. Eventually she realized what she had to do and was so much better on the leash. Even when you are on the go you can use this technique- Jada loves going to new places, even if it means the vet! There are so many great smells so she pulls like the dickens to get to this nice grassy spot nearby. I used the same stop and go technique mentioned above and I definitely saw an improvement, especially since the motivation was so high. 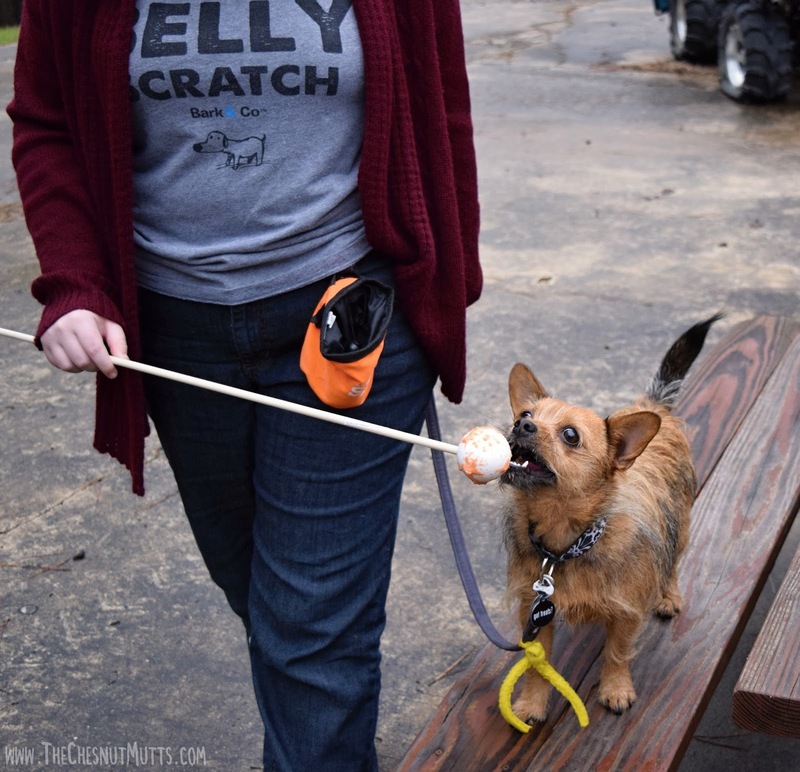 For teaching heel in larger dogs, you can manipulate the leash to move the dog in the right position, but this is difficult in small dogs because they are so much lower to the ground. Having to bend down messes with the body language communication between you and your dog and not to mention puts a strain on your back after a while. 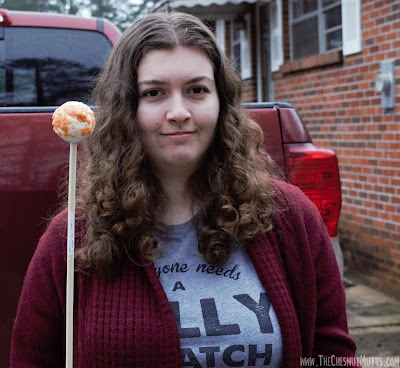 To make one of these target sticks, all you have to do is go to your local craft store and pick up a wooden dowel and pack of smooth foam balls. I picked the dowel size based on what I felt wasn't too heavy and wasn't too light. When I got home, I took a knife and made the precut hole in the ball bigger so that the dowel could fit, squeezed in some super glue, and stuck the dowel in there to dry for a few minutes. While I let the target stick dry, I made a puree of carrots and bananas (approx 2 of each) to make a paste in which to stick the ball in. Jada has a ton of allergies, so the idealistic peanut butter wouldn't work. The fruit and veggie mush turned out great, but I think next time I would add some meat to make it even more tempting. I love using the stick as a means of treating the dog for walking well without me having to stop to bend over and deliver a treat. That messes up the flow of things! And besides using the target stick for leash training, you can use it for other training means as well. 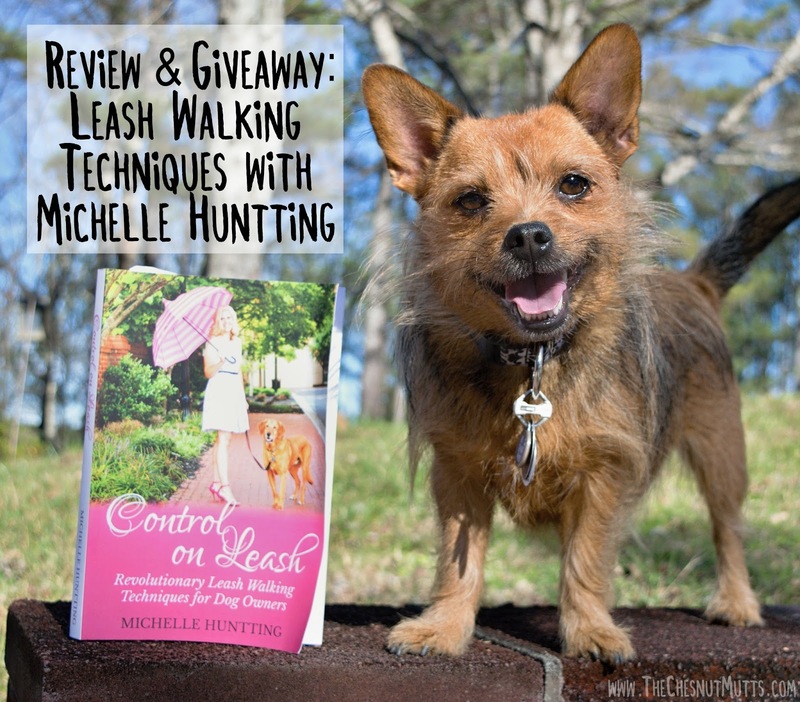 Michelle Huntting's book really opened my eyes to all the ways you can work on leash walking. It can be a difficult skill to learn, but you can go about it in different ways like working on impulse control, relaxation techniques, or with the help of a head halter. In Control on Leash covers all you could ever want to know about getting your dog to walk on the leash in the right way. 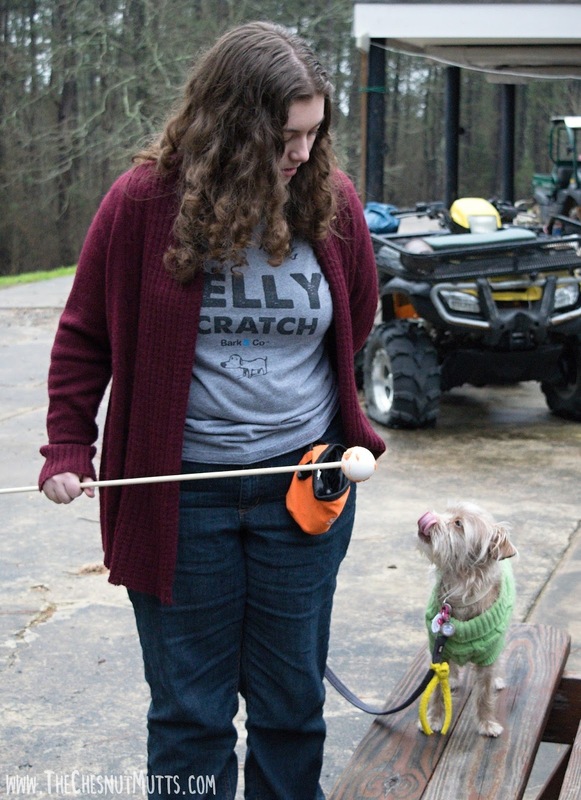 Since I have gotten to know Michelle, I have been continuously impressed with her skills as a dog handler and teacher of dog training. 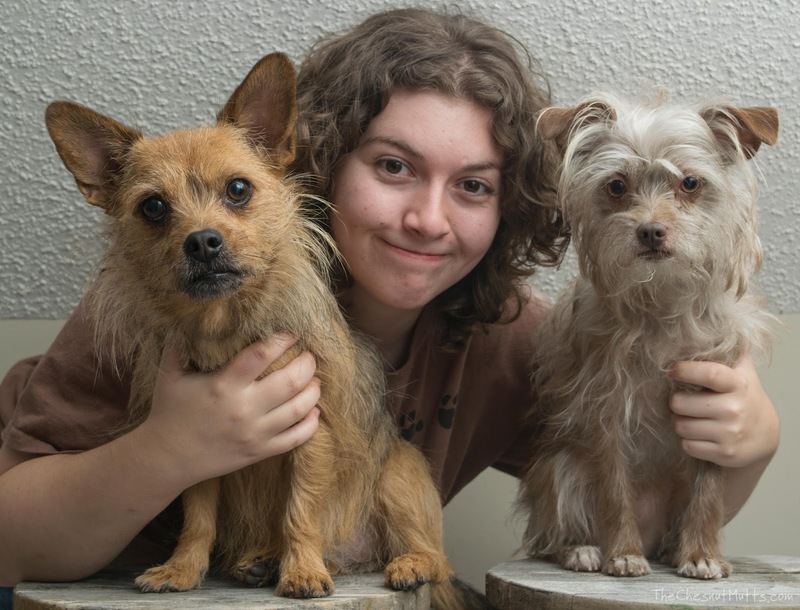 She makes things easy to understand and I have seen firsthand how her techniques are helping my dogs. I would recommend this book to anyone who is struggling with leash training or just want to learn about different training techniques! "I will walk anywhere with you, Mama"
Learn more about Michelle Huntting here! How is your dog's leash manners? i have 3 gals, they are pretty good, when i take all 3 i use a double leash on the 2 younger girls and a single leash on the older girl. sometimes it is hard on the 2 younger girls b/c one wants to go one way and pulls the other, but they are pretty good. dont really pull that much except if they get excited. the oldest does not really go out to events with me anymore, too hard on her, but i get compliments on how well behaved the girls all. I have one that is a hard strong puller. It wears my arm out. His brother walks very nice but he wants to go fast and it is hard to walk him. We keep working but.....I don't see progress! Ruby likes to pull. We got a training harness which, when she pulls is supposed to move her head and break her gaze with what she is pulling towards, but it can be a hassle. This is probably my biggest challenge with Matilda, especially since she's so low to the ground. Cow, on the other hand, heels really well because her face is at perfect treat level. I love your easy target stick! Another thing I do is, if my dog is being uncooperative, I turn around in a circle to reset her to the heel position, and once she gets in the right position, I return to the original direction. It helps get her attention when being still doesn't help. 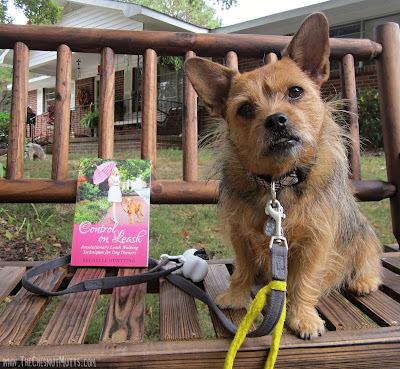 I'll have to check out this book, I feel so embarrassed when my dog is pulling me around in public! Shunta's old so she walks along with me better than when she was yournger. My dog is so so on a leash, he is better just walking along beside me. We mostly walk a track my husband keeps mowed and plowed in one of our fields. I have a new puppy though and would love to train her to walk with a leash. I have one dog that is great on leash and two that are pullers. I would love to read this book. My dog is fairly good on a leash, but I know he can improve! I am the 4th home for my dog....so she came with horrible leash habits. She pulls really hard and lunges at other dogs. I walk her with a harness so she doesn't choke herself. 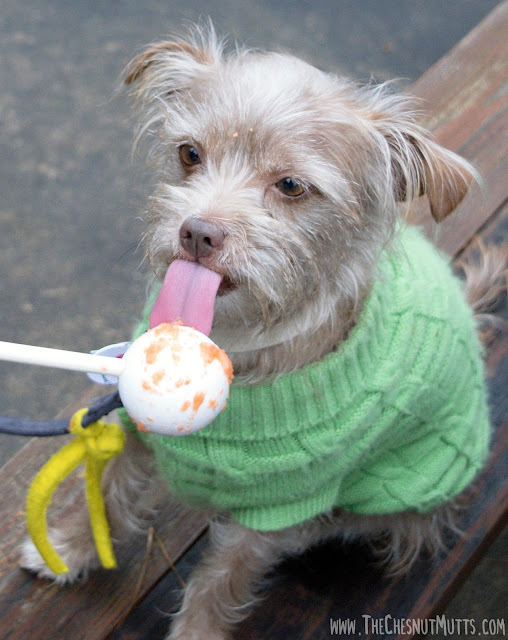 Love the treat on a stick idea. Am definitely going to try it with my new puppy. She does not walk runs in place trying to go so fast ....I try so hard to slow her down walks in place ..
Pippa does really well when there are no distractions or when we've been in the same little area for a while, but as soon as we go ten feet another direction it starts all over. I've had another dog who I completely trained to walk on a leash with no difficulty (lab/pit bull mix) but Pippa (a shorkie) doesn't seem to care about anything except squirrels ! My puppy Is only 3 months old and his leash manners are not good ,I am really working on it! Our dog is very well behaved thank goodness! Shiloh has excellent leash manners, but Wager still need a lot of work.